For six days and nights, a storm tosses the Robinson family's ship around on the sea, before dashing it on the rocks off a deserted island. All the sailors are gone. The family is alone! 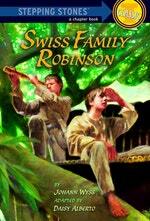 But nothing can keep the cheerful Swiss family Robinson down for long. Father and Mother Robinson, along with their four irrepressible boys, quickly settle into their new home--mining the shipwreck for supplies, discovering valuable resources on the island and animal friends, and even turning the treetops into their own lofty aerie. 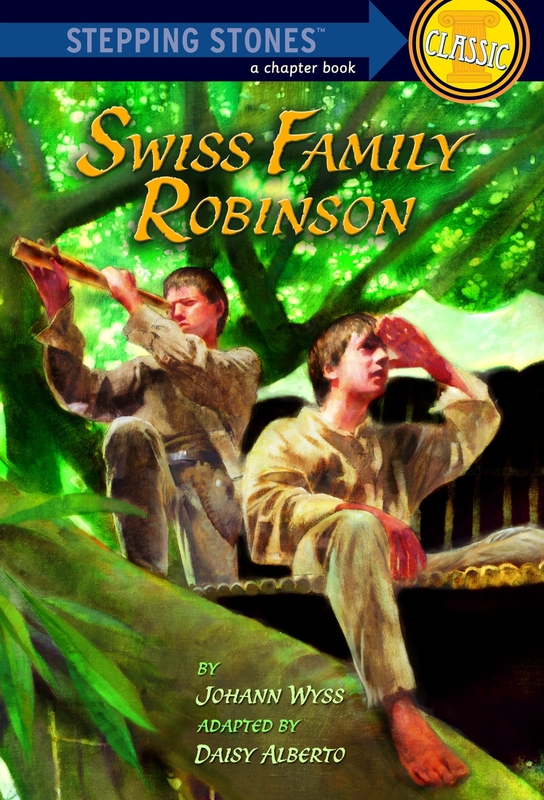 Life is a nonstop adventure with the Swiss Family Robinson! Love Stepping Stones? Subscribe to Read More to find out about similar books.